I finally managed to find my old photos of cakes I've done in the past. 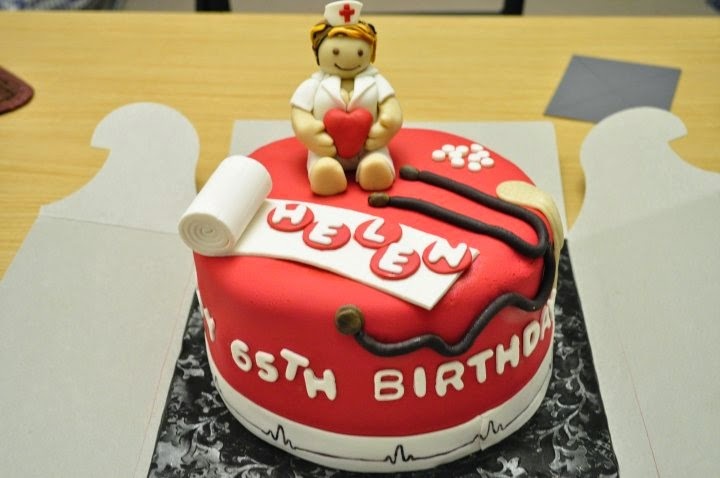 This one was made for an ER nurse who was celebrating her 65th birthday and who was also retiring that same year. My friend who ordered this cake wanted it to feature both a figure of her friend and also a few of the tools of the trade. Can't remember what flavor this was though. 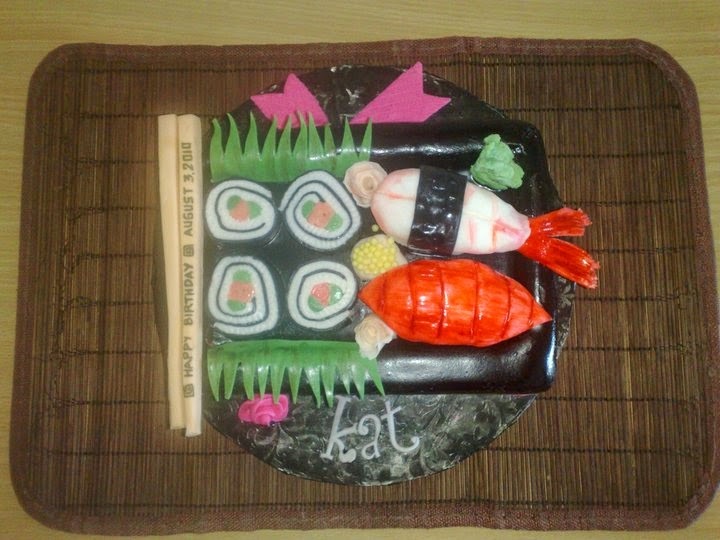 This one was a cake I made for my best friend who loved Japanese food, especially sushi. The cake inside was chocolate with chocolate butter cream. Its all edible (except for the mat, of course) and made out of fondant and gumpaste. 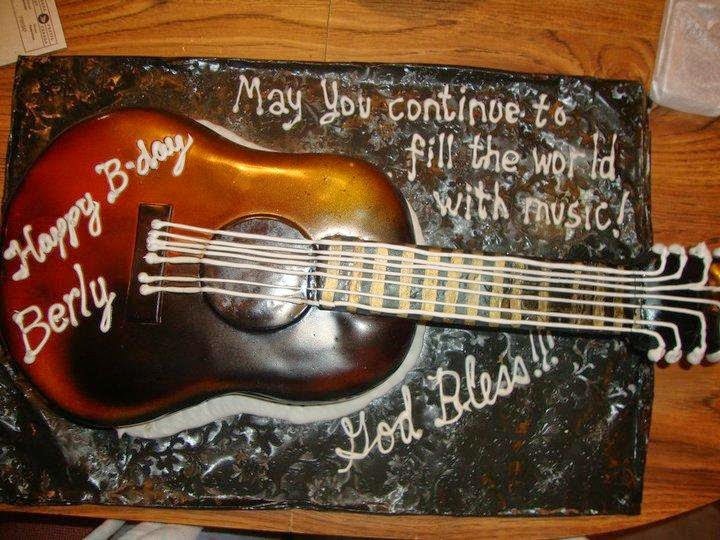 Not the best example of a guitar cake and I couldn't exactly get the colors right. I think this was just my second time working with an airbrush. 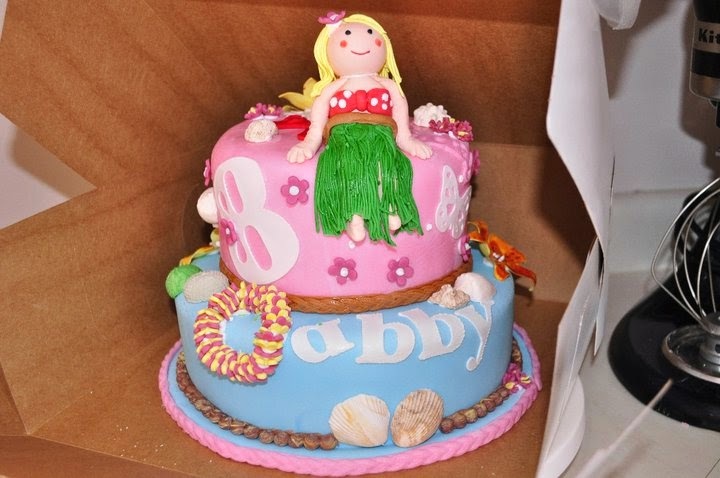 I made this for a co-worker who wanted a 'hula' theme for her daughter's birthday.